The recent oil spill in the Gulf, now cited as being the biggest oil spills of its kind, has put the spotlight on the plight of the marine life that inhabits the Gulf of Mexico. Protecting ecosystems such as the Gulf of Mexico is critical to the preservation of the planet’s biodiversity, and as evidenced by the ecological repercussions of the oil spill, these delicate ecosystems are highly affected by both human and natural pressures. Aside from contributing to a large part of the planet’s biodiversity, marine ecosystems contribute to the global economy, and so preservation becomes more than just an ecological necessity: it becomes an economic necessity. Dr. Matthias Hammer, founder of a non-profit volunteer wildlife conservation organization called Biosphere Expeditions, is well-acquainted with the challenges that come with attempting to protect some of the world’s most delicate marine environments. For more than 10 years, his organization and its volunteers have worked to protect marine ecosystems. Dr. Hammer’s organization pairs the average traveler with real marine biologists to participate in field work that is used in the protection and preservation of marine ecosystems. Their marine life protection projects in Honduras, the Azores, the Musandam Peninsula, and Western Australia, have had an impact in the protection of these natural areas. 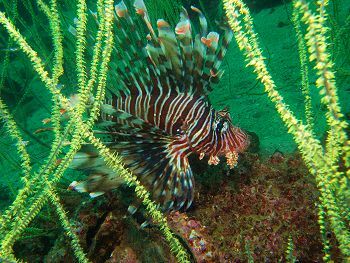 Thanks in large part to the work of marine biologists and volunteers, the Musandam Peninsula in Oman for example, has now been put forward as a marine protected area, and there are also moves to make it a UNESCO World Heritage site. Data collected in Honduras, on the Meso-American barrier reef system, the second largest in the world, has been used for improved management procedures of the marine protected area that is already in place there.